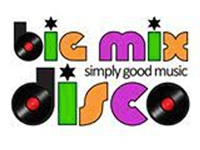 Big Mix Disco is based in Northamptonshire, providing quality discos for a wide variety of events. Over the years we have played at countless weddings, parties (all age groups), works functions and of course special functions such as charity events. Clients of course come first, and we help ensure that you get what you want - every time. At our children's discos we ensure we tailor every one so all children go home buzzing (and tired!). We realise you have a choice and that's why we are not complacent, adding and renewing our equipment, looking at what other DJs are offering, all aimed at giving you the best service we can. Required by many venues, Big Mix Disco has a current PLI policy with Mobile DJ Network in the amount of £10 million. Also required by many venues, Big Mix Disco has supplied satisfactory evidence of holding current PAT inspections of their equipment dated within the last 12 months. A Method Statement outlining Big Mix Disco&apos;s Health & Safety procedure for setting up disco equipment has been provided. Big Mix Disco has provided Risk Assessments undertaken at events sourced via needadisco.com, indicating that they can undertake these competently. Why do people choose to book Big Mix Disco? I only received one quote and it was a good price at short notice. Contacted me quickly and a pleasant person to talk to. Suitable for a wide age range, good reviews and price. Speedy response. "John was great, found all the music we requested which was quite extensive. Everyone had a fantastic time, thank you." "JOHN DID A WONDERFUL JOB UNDER SOMETIMES CHALLENGING CIRCUMSTANCES, I.E. VERY SENSITIVE SOUND MONITORS FITTED IN THE ROOM WHICH CAUSED HIS EQUIPMENT TO MALFUNCTION. WOULD USE HIM AGAIN." "Lovely Client who was understanding on the night. The power supply at the venue malfunctioned which caused a problem. Apart from that I would have no hesitation Djing for this client again (at a different venue!)" "John was great on the night and on the lead up to the party. Great communication. He played all the songs we asked for. Would highly recommend John"
"Really enjoyed this gig, lovely people........."
"John was a great DJ. He made my party perfect, playing all the music that was requested and created a great party atmosphere. He sent a very clear contract when I paid the deposit and was very happy to discuss what was needed for the evening so that everything was very clear and able to run smoothly for my event. A very kind accommodating DJ whom I would recommend with 5 stars. " "Simply a lovely client, would DJ for again no problem!" 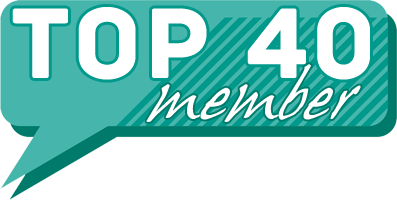 "John was a great DJ and listened to our requirements and did a fantastic job!" "Really enjoyed this disco, pleasure to play classic tracks from the 70's....Great client!" "Big Mix Disco/DJ John were thoroughly professional & absolutely fantastic, & made my '90's-Themed Party' a truly great night - his music choices were perfect/spot-on, the dance floor was never empty, all of my guests thoroughly enjoyed themselves & i have had nothing but amazing feedback/comments from all of my family & friends too!!! I would be more than happy to thoroughly recommend this DJ to others to hire for their functions"
"Thoroughly enjoyed DJing for Adam and his friends/family.......nights like this is the reason I do what I do!" "We were very pleased with the disco John provided for us last weekend. Communication was clear and John arrived in plenty time to set up. We had chosen most of the tracks for the evening, an eclectic mix to mingle to at the start of the party, music to eat to and music to dance to. John found all the tracks we wanted and even worked with us to play a track we needed for a Scottish dance. He helped by announcing when needed and played requests from our friends. Friends and family all said how much they enjoyed the music. Thank, you John, we will certainly recommend you to people in the future." "Easy to work with Client, enjoyed the evening, would have no hesitation in working for them again"
"Very happy with the disco John provided, he had the kids up and dancing with a great range of songs from new to old. Really pleased as it was arranged at very short notice. " "Great bunch of kids, enjoyed DJing for them. Natasha was a lovely client...."
"I was a bit worried as we had had to go through the internet to find a DJ but John was extremely helpful before the event and played to his audience on the night. Thank you John for helping make it a great night." "Lovely client, enjoyed the evening...."
"John was very easy to deal with, played correct type of music for age group whilst having a good variation of genres. Compared to other prices obtained for the same type of DJ and equipment John was certainly better value for money. I would definitely hire him again and recommend him to all"
"Lovely client and great to deal with. Would DJ for them again"
"I booked John from Big Mix Disco, for a surprise 50th birthday party that I was organising for my mum, a great experience, from start to finish, promptly responding to my initial quote request, with a price that suited my budget. Once booked received my terms and conditions paperwork very quickly, any questions I had at any point were answered well. I was kept up to date with any information. John even went to view the venue the week before my party took place to ensure he knew where he was setting up etc.. on the night, as to not waste any time on the night of the party. Interacted with the guests very well, stating when the buffet was open, when we were ready to sing happy birthday and getting people up on the dance floor. Played a wide variety of music, for all age ranges that attended and a lot of Motown, due to me telling John that was mum's favourite. An all round brilliant night with the help from a great DJ, would definitely recommend, and use for any future occasions of my own. Thankyou! " "Lovely family to work with, would definatly DJ for them again!" "I was very happy with John and I am considering booking him again next year for my wedding." "Lovely people to DJ for and easy Client to work with"
"John understood our guests requirements and played the perfect mix of music, everyone was up dancing and very much enjoyed themselves. We have already re-booked him for two future events." "Great crowd to DJ for and lovely clients to work with. Would have no hesitation to DJ at any of their events in the future"
"John was a star on the day and made the party with his excellent music and DJ skills. We will 100% be using him for events in the future. " "Great night! brilliant fun people, would have no hesitation in DJing for them again! " "I looked wmecerywhere for a dj, and after I spoke with John at big mix disco, I knew this was one to be looked at, Great dj, no pressure all relaxed. Low prices! And made everything that needed to be done go smoothly, it was a big stress sorted. The night was amazing!! Thank you!" "Really enjoyed this gig. an easy to work with client, would have no hesitation djing for her again! Pleasure." "Fantastic evening. Everyone really enjoyed. Would definitely recommend John. Many thanks for a superb night"
"Fantastic crowd to DJ for, many great requests. Would have no hesitation to DJ for this family again. Lovely people"
"John was a very good DJ. He listened to our requests and tailored his music choice to our audience. He got everyone up and dancing. We had a great night." "Wonderful, easy crowd to DJ for. A pleasure........"
"Lovely man, great service; would definitely recommend"
"Really enjoyed the gig, easy to work with; pleasure to DJ for!" If you are contacting Big Mix Disco about an event, it's always a good idea to include the DATE, LOCATION, EVENT TYPE, AGE GROUP and TIMINGS to speed things up!